← Trying to Navigate the Labyrinth That Is Google AdWords? We Can Help. Good evening ladies and gentlemen, and welcome to tonight’s match which promises to be a classic battle in every sense of the word. 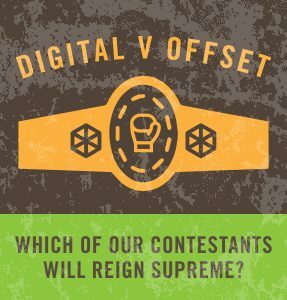 In the magenta corner, weighing in at nearly 34 tons and the undisputed longtime champion of print – the Prince of K/Os, the King of Color, Oscar “Offset” De La Inkay. And in the cyan corner, weighing in at a svelte 4,000 lbs 8 ounces, the Sultan of Speed, the Killer of Cost, Danny “Digital” McShortrun. And the prize? Glory and a gaudy golden belt, but more importantly, increased dominance in the world of commercial printing. Okay gentlemen, I want a good clean fight between you two. Nothing below the sheet feeder, no roller butting – good luck to you both! The paper chase. 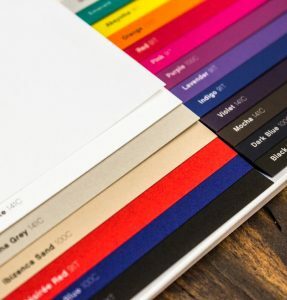 If you require or want a special paper stock, finish or unusual printing surface, or a unique size (like much larger), the options are continually increasing for digital, but offset printing still offers the most flexibility. The color of money. Similar to offset, most digital presses use a digital four-color printing process (standard is CMYK, but this is quickly changing). If you need only black ink or one or two ink colors, offset printing may actually offer a more cost-effective solution. If you need basic four-color printing, digital may offer advantages in lower up-front costs; no printing plates are required, there’s no pre-press time and there’s very little clean up. More on color. 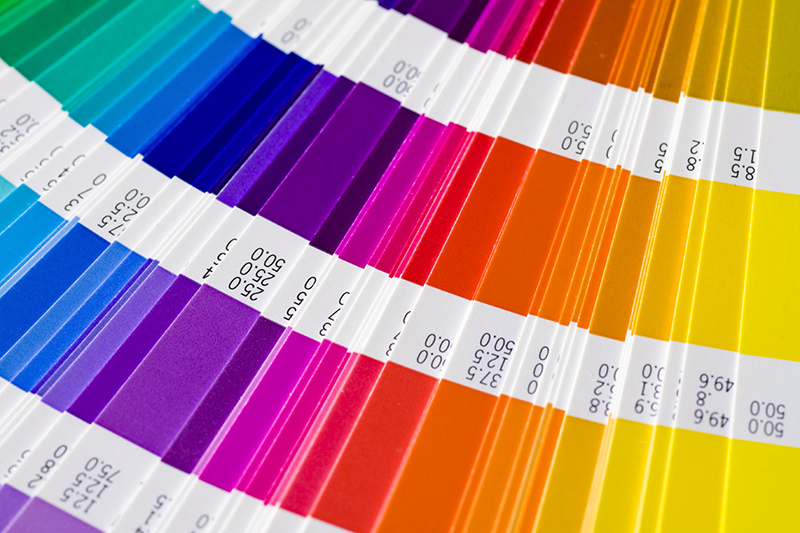 If you’re planning to print using the Pantone® Matching System (PMS), offset printing will give you the best match, since it uses actual Pantone inks. Digital printing “simulates” colors using a four-color digital matching formula, so some digital printers may offer less accurate color matching on projects. And metallic inks? Give the point to offset printing. Time to turnaround. If you need it fast, digital usually will offer quicker delivery. Especially at lower quantities. 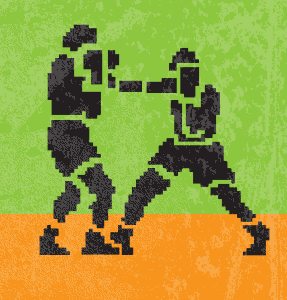 Digital is the speed bag champion. As mentioned earlier, offset printing has a front-end cost load (plate-making, pre-press, etc.). Consequently, short runs will have a high unit cost. But as quantities increase, the unit cost goes down with offset printing. Very short runs can be much more cost-effective with digital printing; while larger quantities are likely to have a lower unit cost with offset printing. You want the proof, you can’t handle the proof. Technically, digital printing offers more accurate proofs since you see an actual sample of the printed piece. Accurate color proofing for offset printing can be expensive, can be more time consuming and it takes extra quality assurance for offset printing to match the proofs. A right hook and a flurry of jabs by digital. Shorter turnaround. Every print is virtually the same. More accurate counts, less waste, and fewer variations, due to not having to balance ink and water during the press run. Cheaper low-volume printing. While the unit cost of each piece may be higher than with offset printing, when setup costs are included, digital printing provides lower per unit costs for very small print runs. A blockbuster of a hit by digital, variable data printing is a form of customizable digital printing. Using information from a database or external file, text and graphics can be changed on each piece without stopping or slowing down the press. For example, personalized letters can be printed with a different name and address on each letter. Variable data printing is used primarily for direct marketing, customer relationship development and advertising. Ouch! Ahhh, an upper-cut by offset. High image quality. Works on a wider range of paper stocks (sizes, weights and textures). The unit cost goes down as the quantity goes up. Quality and cost-effectiveness in high-volume jobs. While today’s digital presses are close to the cost & benefit ratio of offset for high-quality work, they are not yet able to compete with the volume an offset press can produce. Modern offset presses use computer-to-plate systems as opposed to the older computer-to-film workflow, this further increases the print quality. Pow! And, the match is over! Gentlemen, back to your corners. Ladies and gentlemen, we have a split decision! Hold the catcalls, please. Each printing job is unique. What may work for digital with one project may not work for another. We find it is always best to consult one-on-one with your commercial print vendor. That way you won’t get sucker-punched. 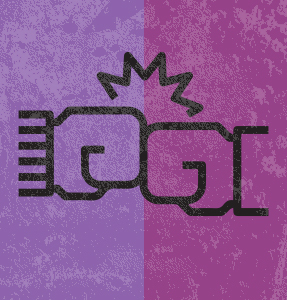 This entry was posted in Design, Digital Design, Miscellaneous, Printing, Technology and tagged digital printing, offset printing, Print Process, printing technology. Bookmark the permalink.